Sanitary Stainless Steel Ball Valves Through 90 degree rotary handle,drive the ball body which have transfixion cavity and precise manufacture, to open or close the valve, reaching control the flow rate of medium.Different standard of valve series can supply to customers,they are the DIN standard series,3A standard series,SMS standard series, ISO/IDF standard series, BS/RJT standard series ,ASME/BPE etc.The constitute elements of ball valve always included:one ball with transfixion cavity, valve body, valve central spindle and spindle shaft seal.The specification of Hygienic Ball Valves series are welded ball valve,clamped ball valve, threaded ball valve etc. Food Grade Ball Valves is widely used in water boiler machine, rice steaming machine, water tank, water tower, toilet cisterns, etc. Sanitary Non-retention ball valves could be fabricated as per client's requirement and drawing. • Application: Food, Beverage, Dairy, Pharmaceutical, etc. -Above are our regular specification, any Customizing request is also welcome! We have other Sanitary Valves maybe you like:Sanitary Tank Bottom Valves, Sanitary Double Seat Mixproof Valves, etc. If you have Sanitary valves need, pls contact us for details. 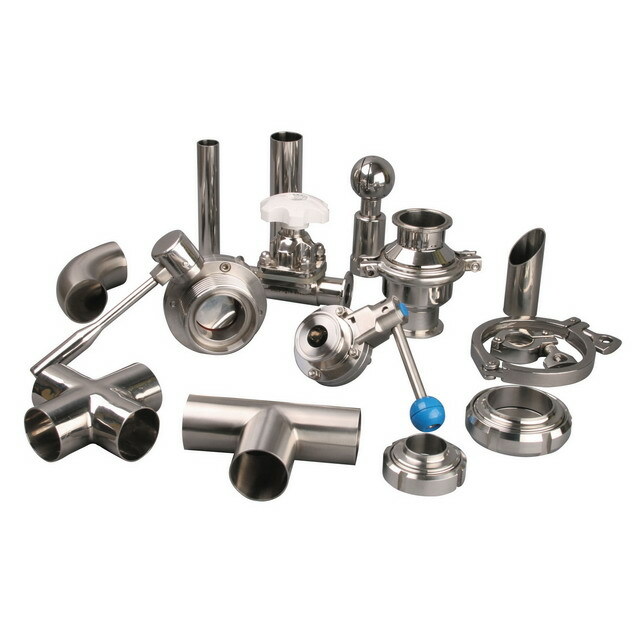 -We are one of most competitive manufacturers/exporters in China on sanitary products,sanitary fittings,sanitary valves,sanitary union, sanitary clamp, sanitary filter, sanitary pipes, etc, contact us directly for more items and better prices! Looking for ideal Non-retention Ball Valve Manufacturer & supplier ? We have a wide selection at great prices to help you get creative. All the 1 Inch Non-rentention Ball Valve are quality guaranteed. We are China Origin Factory of Hygienic Ball Valve. If you have any question, please feel free to contact us.